Is the Winchester family business still up and running? Has the Supernatural TV show been cancelled or renewed for a 15th season on The CW? The television vulture is watching all the latest cancellation and renewal news, so this page is the place to track the status of Supernatural, season 15. Bookmark it, or subscribe for the latest updates. Remember, the television vulture is watching your shows. Are you? A CW paranormal horror drama, season 14 of Supernatural stars Jared Padaldecki as Sam Winchester and Jensen Ackles as both Dean Winchester and the latest incarnation of the archangel Michael. The cast also includes Misha Collins as Castiel and Alexander Calvert as Jack. This year, guest stars include Jim Beaver, Kim Rhodes, Ruth Connell, Briana Buckmaster, Kathryn Newton, Katherine Ramdeen, Clark Blacko, Yadira Guevara-Prip, Samantha Smith, Amanda Tapping, Danneel Ackles, and Felicia Day. Supernatural season 14 kicked off with Sam recruiting everyone to help him track down Dean, and since he’s possessed by Michael, he could be anywhere. Meanwhile, Castiel meets with an unreliable source and finds himself in trouble, and Jack is trying to cope as a human, since his grace was drained last season. The 14th season of Supernatural is averaging a 0.41 rating in the 18-49 demographic and 1.44 million viewers. Compared to season 13, that’s down by 26% and 15%, respectively. Learn how Supernatural stacks up against the other CW TV shows. Supernatural will end with the 15th season which will debut TBD in 2019-20. Stay tuned for further updates. As long as the ratings more or less hold, I expect Supernatural will be renewed for season 15. That is, unless the stars want out, or the parties fail to come to terms on money and/or scheduling. This year, the show only got a 20 episode order, to give Padalecki and Ackles some extra time off. They may be feeling like it’s time to let go and let Chuck. Only time will tell. For now, I’ll keep an eye on the Nielsens and update this page with breaking developments. Subscribe for free updates on any Supernatural cancellation or renewal news. 3/22/19 Status Update: Supernatural will end with season 15 on The CW, next year. Watch the cast announce the news and get the details here. 1/31/19 Update: The CW has renewed the Supernatural TV show for a 15th season. Details here. TV show ratings are still important. Follow Supernatural‘s weekly ups and downs. Find more Supernatural TV series news or other CW TV show news. What do you think? Is season 15 the right time to end the Supernatural TV show? How long would you have liked to see this CW TV series run? 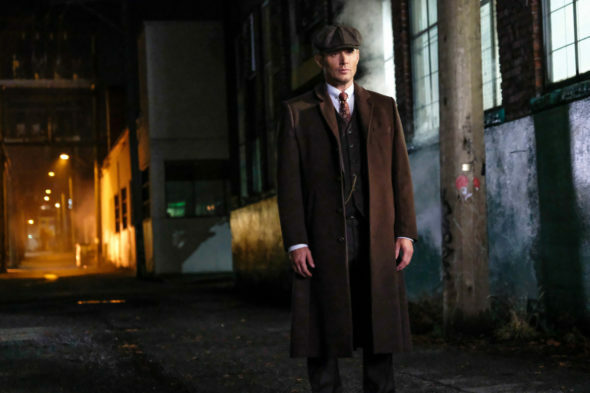 Supernatural: Season 15; Why Is the CW TV Show Ending? Was It Cancelled? If they do decide to cancel supernatural they better end it right. If they cannt make a full season make a big deal movie I say to end to perfect with a happy satisfaction ending and make everyone happy. I want it to keep going . No I do not want to see it in until the crew wants it to end so heck No I’m a big fan!!!!!! I have seen every episode and it will be hard to say goodbye to when they go off. I too have watched every episode of Supernatural…but I imagine for actors, after working on the same show for 15 yrs. the grind of the same show may grow stale. They may want to pursue other acting opportunities that are fresh and challenging?